2015's Best of Pension Pulse? In my final comment of 2015, I'm going to go over a few key comments of the year. To date, I published 238 posts this year and while I consider them all important, it's useful to highlight the ones which I think are worth remembering as we head to 2016. 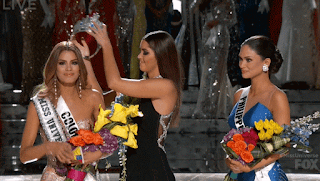 Outlook 2015: A Rough and Tumble Year? 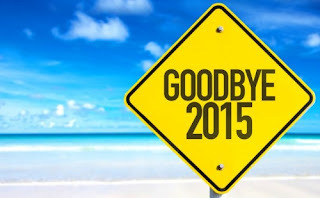 : I always start the year with my outlook which sets out my market views. If you read it carefully, you will see I made some bad calls on some biotechs (still like the sector) and small cap stocks in general but the big picture was bang on. In particular, I made great calls on deflation, shorting oil and the loonie and told my readers to keep steering clear of energy (XLE), Metals and Mining (XME), Materials (XLB) and commodities (GSG). That advice alone was worth more than a $1000 or even a $5000 annual subscription to this blog from major pensions and financial institutions!! In fact, if you judge the past year by which U.S. investment class generated the largest return, a case can be made it was the worst for asset-allocating bulls in almost 80 years, according to data compiled by Bianco Research LLC and Bloomberg. With three days left, the Standard & Poor’s 500 Index has gained 2.2 percent with dividends, cash is up less, while bonds and commodities are showing losses (click on image below). No Enhanced CPP For Christmas? 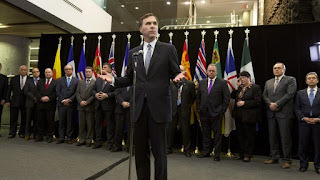 Canada's federal and provincial financial ministers are considering not raising premiums for the Canada Pension Plan (CPP), federal Liberal Finance Minister Bill Morneau said on Monday, despite a Liberal campaign promise to enhance the plan. The ministers will be considering a range of options over the coming year "from doing nothing because of the economy to more significant changes," Morneau told reporters after meeting with his provincial counterparts. The Liberals, elected in October, campaigned on expanding the CPP, but the Canadian Federation of Independent Business warned that a premium increase would boost unemployment, because it does not take profit into account. The CPP is comparable to the U.S. Social Security program. Biggest Pension Gaffe of 2015? Friday’s Throne Speech didn’t mention Tax Free Savings Accounts (TFSAs), but federal Finance Minister Bill Morneau didn’t leave us in suspense for long. On Monday afternoon, as part of measures to help pay for a middle-class tax cut, Morneau — cheerfully and in a brisk boardroom manner — said the $10,000 annual limit introduced by Conservative Finance Minister Joe Oliver is gone. The good news is that the $10,000 amount stands for this year and goes into your lifetime total. But as of Jan. 1, it’s back to the future for this popular savings vehicle, dubbed the Totally Fantastic Savings Account by Wealthy Barber David Chilton. It reverts to $5,500 a year. Hedge Funds Party Despite Huge Losses? Canadian Pensions Betting On Energy Sector? Giant Pensions Turn To Infrastructure? The Federal Reserve’s Tacit Aim? Will The High Yield Blow-Up Crash Markets? Shining A Light On Canada’s Top Ten? BT Pulling Billions From Its Own Manager? Overtouting The Canadian Pension Model? Are Martingale Casinos About To Go Bust? More Bad News For Hedge Funds? Japan's Pension Whale Gets Harpooned in Q3? CalPERS' Partial Disclosure of PE Fees?